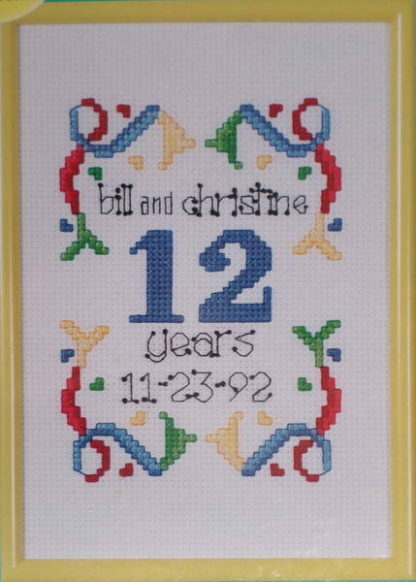 This is an easy kit for a wedding anniversary and it includes a yellow frame. 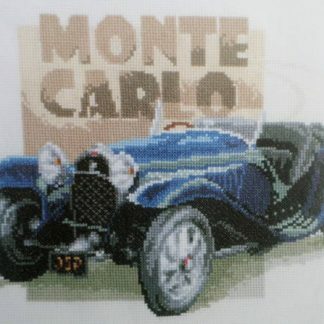 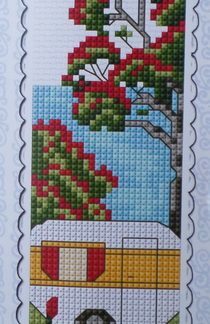 The finished size is 12.5 x 17.5 cm and the kit contains. 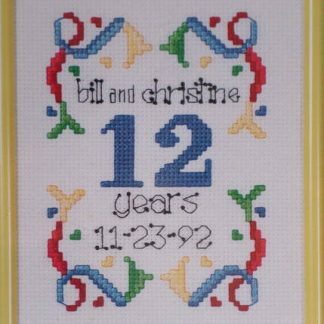 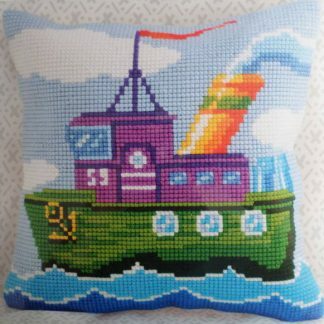 14 count Aida, cotton threads, the frame, a needle and full instructions with an alphabet & numbers.